Gavin: Hey Anthony, first off, tell us a little bit about yourself. Gavin: What first got you into art, and what were some of your early inspirations? Anthony: When I first studied art, I was always attracted to mixed media artists, painters, and the postmodernist photographers who dealt with issues of originality and commercialism in their art. People like Jasper Johns, Robert Rauschenberg, Mark Tansey, Robert Longo, and Cindy Sherman were early indications for me of where I wanted my work to go. I was also heavily into surrealism which I think comes through in many of my pieces. Gavin: You got your bachelors from Weber in Fine Arts. What was your experience like up there with their program? Anthony: I was very happy at Weber State because I had very good mentors there in the art department who encouraged me to branch out to other disciplines and explore and be playful in my work. As an undergraduate, I think students try so hard to create work that communicates very important issues that they forget to have fun and use the time in school to explore. Gavin: You also got your MFA in Photography at Arizona State. What made you decide to pursue your graduate studies in photography? Anthony: At the end of my bachelors degree program I decided I wanted to someday teach and a MFA degree is essential to that goal. Before I went to graduate school, I took three years off to work as a photo assistant and gain some experience with what I wanted to say in my art. My photography from this period is filled with technical explorations (painted on emulsion, chemical staining of the images, etc.) The work looks very "1990's" when I look at it now... I am very glad I studied out of state because it allowed me to work with photographers and artists from all over the country and experience things from a very different point of view than what is found in Utah. Gavin: How did you end up getting the Program Coordinator gig at Western Governors University? Anthony: A lot of my career opportunities have come about by being in the right place at the right time but also being as prepared as possible for all eventualities. I met a friend of a friend who is an Associate Provost at Western Governors University and he was very interested in developing more advanced courses in the Humanities of the Liberal Arts department. The idea of distance learning and competency-based education was very intriguing and once I was able to see how students from under-served populations (rural students, inner city students, first generation students, etc.) could realize their dream of a higher education, well I was hooked. Gavin: You're also teaching photography at Westminster College right now. How is that program going for you? Anthony: Westminster College has a small but fantastic art program with some of the most creative students I have ever worked with. I enjoy teaching there because I learn as much from my students as they do in their studies. Being around creativity inspires me to be more creative which helps keep my work always moving forward. Gavin: You do a lot of mixed media pieces from photography to prints. Why did you choose multiple formats instead of sticking to one? Anthony: From early on in my artwork, I was attracted to work that was layered, where you could see text and imagery below the surface. I did not like how photographic work looked so “graphic” with its layering capabilities in photo-montages. In graduate school my challenge was to find a process that allowed the layering to look effortless. Fortunately, I was taking a printmaking and digital media course at the same time, which along with my own photography and scanning of objects, allowed for me to create the style of work I was searching for. It is often little coincidences like that that helps guide the process along which is why I find art and the creative process still so enjoyable and fascinating. Gavin: What's the process like for you when creating a piece, start to finish? Anthony: The process of creating a new piece I think is really quite magical. Sometimes I have an idea for a piece but in the process of developing the idea, it morphs into something entirely new. Some of the pieces in the show “The Golden Age” have imagery of people interacting in front of staged backdrops that I have photographed or scanned from old photo album images. The “characters” in the pieces often started life doing something entirely different than what I thought the image was going to be about. It is this puzzle of figuring out what I want to say that is always thrilling. The process of making the collage allows for another stage of discovery as the layers of canvas, paper, varnish and stains makes the works look like they are in some form of distress… I like this style a lot and it has made my work recognizable to many people. Gavin: How is it for you having work hanging up in the Utah Museum of Fine Art right now? Anthony: I have one piece that is a part of the Utah Museum of Fine Arts permanent collection. It is an honor that this piece is in this collection, and I hope they purchase more! 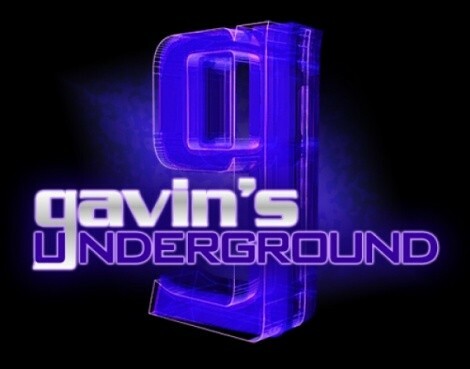 Gavin: Tell us a little bit about this show and what you'll be showcasing. Anthony: The show at Art Access Gallery is called “The Golden Age” which the title for me is a note to remember that every stage I am at in my life or in my art is a golden age. The pieces are a culmination of my last five years of exploration with mixed media and collage and my hope is that other people find their own meaning and connections to their own experiences in the works. Gavin: Why did you choose to do a dual show with Zane? Anthony: Zane Lancaster’s work is fantastic and has very modern iconographies that will serve as a nice play against my work, which can be on the more romantic, nostalgic side. I think people will like the juxtaposition of our work in the two galleries. Gavin: A little local, what are your thoughts on our art scene, both good and bad? Anthony: I think Utah has a tremendous amount of creativity to our art scene. People around the country tend to think of Utah art as being primarily landscape oriented, and though that genre does play a huge role in local art, there is such variety to the media and styles that it is very hard to point to one trend that defines Utah art and artists. Gavin: Anything you believe could be done to make it bigger or better? Gavin: How about what you think of Gallery Stroll and how its evolved over the years? Anthony: I think that the Gallery Stroll has evolved to include many more venues but has still kept to its mission which is to encourage everyone to get out and explore the talent showcased in the city… it’s a wonderful part of living in the city; being so close to this many galleries and wonderful artists. Gavin: What can we expect from you the rest of this year? Anthony: Just for everyone to come to Art Access Gallery from July 17th through August 14th to see the show. People can also see my work at my website. Thanks for letting me talk about my work, Gavin! Gavin: Hey Zane, first off, tell us a little bit about yourself. Zane: I was born and raised in Wyoming, been married to a Texan who wants to return to Texas for almost five years, and have two fantastic dogs. Zane: The earliest thing I remember doing is sitting at the kitchen table making drawings of the Crabasaurus, the crustacean version of King Kong, smashing buildings and eating tanks, and it went from there. Gavin: You've got your bachelors Milwaukee Institute of Art & Design. What was your experience like up there with their program? Zane: It was a very exciting place to be at, surrounded by so much creative energy and people. The painting program there really stresses both the technical and conceptual aspects of art making. Gavin: You also have a Masters from the U in Fine Arts. How was it for you getting that degree? Zane: The U has great professors who are very giving of their time; I changed more than I ever expected I would. Gavin: Why did you choose to come to Utah after Milwaukee? Zane: I needed to get back to the mountains. Gavin: A lot of the work you've shown has reflected a political tone. Does it come from more recent events, or just your thoughts on everyday politics? Zane: Recent events as caused by everyday politics. The insincerity of it all, the smiley veneer and rotting innards. The work was made during an election year and time of greed induced economic decline and listening to our financial geniuses and elected representatives saying how surprised they are about it. Gavin: What's the process for you like when creating a piece, from start to finish? Zane: It cycles from excitement to hate to frustration to excitement to hate to acceptance. Zane: It’s all work made within the past ten or so months, encaustic and egg tempera paintings of disingenuous politicians/business tycoons shaking hands and bearing their teeth. Gavin: I'm sure you get asked it a lot, but why did you choose egg tempura for the style? Zane: Tempera is simultaneously obscuring and revealing, it creates a tension between what is on the surface and what is beneath that surface. I think this works well relative to the subject matter that I am dealing with, the notion of presenting empty sentiment with the utmost sincerity, and smiling and toasting someone as you plan how you will destroy them, it has multiple layers of fa%uFFFDade if that is possible. Gavin: Why did you choose to do a dual show with Anthony? Zane: Actually the fine people at Art Access were kind enough to give me a show and scheduled it with his. I think it’s an interesting combination. Zane: I think it’s better than people would expect, there is some really interesting work being made here. On the down side, there’s also a lot of what you think ‘Utah’ art would be like too. Zane: If more people took art making seriously, not as a hobby or fashionable endeavor that will maybe get you a girlfriend. Zane: I’ve been thinking about some new work, but it never goes the way I expect it to, I’m interested to see what happens. Zane: My work is always at ‘A’ Gallery, and the upcoming 24 Hour show at Kayo next month which features work made during the same 24 hour time period by myself and seven or eight others.